Here’s an interesting story. I was talking to a teacher friend of mine. This is really going to blow you away. It seems that today’s young kids… don’t know how to use a mouse. They’ve grown up with tablets and phones, and many of them just don’t know how to use a mouse because they’ve never touched one. Of course that should tell you that mice just aren’t that futuristic anymore. I remember the days when I was astounded by watching young people handle mice and windows in ways that older folks never would. Now it’s getting to the point where only us oldsters have good mousing skills. That’s why it’s more critical than ever that you implement touch systems. Touchscreens make it easier for average people to interact with technology. They’re also more durable than mice, although I admit they do cost more to replace when they do break. 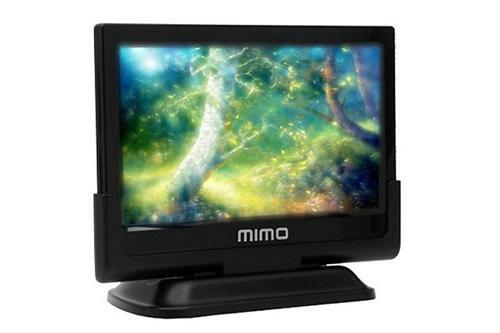 MIMO Monitors add industrial-strength touchscreens to any PC application. It’s like using a Windows tablet, essentially. This is great for any case where you have to use Windows for your operating system. After all, Android is only going to get you so far and those cheap Android tablets that are often used as touchscreen interactivity devices are usually pretty unreliable. MIMO Monitors has been providing touchscreens for over a decade for heavy-duty use. They really know what they’re doing. A MIMO touchscreen system can function as a kiosk to let customers interact with you, or they can replace a keyboard and mouse in dusty, dirty environments. MIMO’s resistive touchscreens will work with any sort of screen protector or gloves attached and can work with a stylus if it’s impossible to use a finger. They’re very simple to install too. Remember that even though you probably don’t use it, all versions of Windows 10 are fully touch-integrated. This includes pen and touch support as well as an on-screen keyboard. This means that if your app runs on Windows 10, it’s going to work with a MIMO monitor with no problems. In almost every case it’s just plug and play. If you’re interested in learning more about MIMO Monitors, check out SolidSignal.com where you can get not only the monitors themselves but also all the accessories you’ll need for a successful installation.